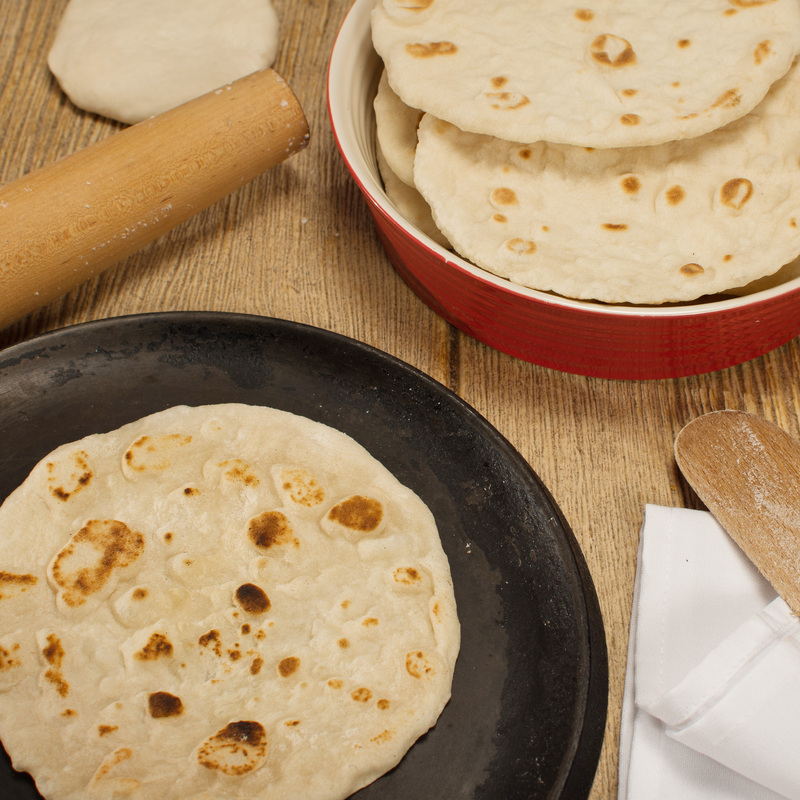 Authentic homemade and natural Tortillas fresh from the pan and onto the plate, or freeze and serve another day. In a Large bowl, cut shortening into flour. Add salt and baking powder. Stir water in slowly with a fork until large ball of dough is formed. Turn out onto a board and knead until smooth. Divide into 12 pieces and shape each into a smooth ball. Flatten each ball into a four or five inch patty, and then roll into a seven-inch round. After each tortilla is rolled out, place it on a preheated, ungreased skillet over medium high heat. When blisters appear on tortilla, flatten immediately with a wide spatula. Turn tortilla often until blisters turn a light brown. Serve immediately or store in a refrigerator or freezer.